Five films, both 16mm and 35mm, from Pat O'Neill. 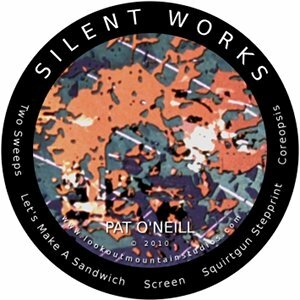 Includes the installation works "Two Sweeps" and "Let's Make A Sandwich", presented here as they would be seen in a gallery setting: as continuous loops.Five films, both 16mm and 35mm, from Pat O'Neill. Includes the installation works "Two Sweeps" and "Let's Make A Sandwich", presented here as they would be seen in a gallery setting: as continuous loops.